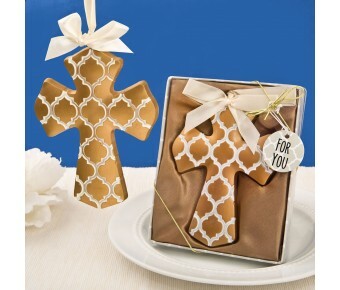 Looking for a modern style religious favor for a christening, communion or other Christian event? 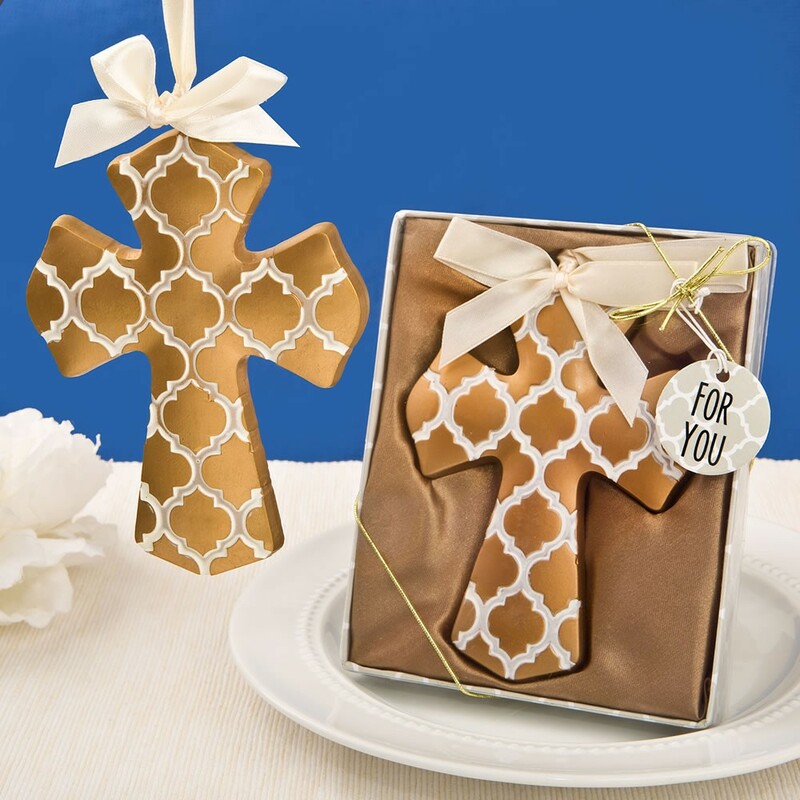 This lovely gold Cross ornament features an on trend Hampton link design that will delight your guests! Thrill your guests with a modern style Cross ornament that they can hang up in a special place when they get home. The cross is crafted from poly resin and hand painted in a gold color. It features a lovely on trend Hampton link design with white borders. On top of the Cross is a round metal wire with an ivory satin ribbon for hanging the ornament in style. A thoughtful gift for a christening, a communion or any other Christian religious occasion. Size 4 3/4" x 3 1/2"